Why are food prices so high in the U.S.? You have probably noticed prices have escalated greatly for food in the United States. The price we pay for variety and sophisticated merchandising is steep. The good news is that food prices in the U.S. are projected to be pretty flat in 2017, about a 1.5% increase. Lower transportation costs and a strong dollar have actually brought prices down slightly for the first time since 1967. Prices depend on a number of factors include droughts, market forces, oil prices and surpluses, crises that are bound to repeat themselves (in other words enjoy it while you can). Overall, the the price of food rises an average of 2.6% per year. You can expect your grocery bill to be appreciably less in Mexico, even if Mexico’s food prices rise. You can save more by shopping at outdoor markets and buying only what the natives buy (unless you share my rather pathetic addiction to Heath Bar miniatures). Just like in the U.S., prices will vary with how expensive your area is, for example, prices will be lower in Mazatlán (a working Mexican town) versus Cabo San Lucas (which is more strictly a resort community). You can expect to pay at least a third less, and probably closer to half of what you pay at home. Presumably, part of the reason that costs associated with food in Mexico are lower is because of related costs such as cheaper labor to distribute it. Another reason is that Mexico fixes the price on some staple foods such as beans, eggs, tortillas, and milk. When you live in Mexico, it helps to cook using common local ingredients as much as you can, like mangoes, fresh pineapple and tortillas, and avocados. Availability is wildly different. Sam's Clubs and Walmarts tend to be where expats (and Mexicans alike) find the broader array of American ingredients. If you’re not a 20-year-old wearing his cloak of immortality, you have noticed that the American healthcare situation has reached the point of near hysteria, cited as the number one cause of an epidemic of insomnia in the U.S.
Healthcare's underlying costs are inflated by being based on what the market will bear rather than the common good. Until Congress musters up the political will to change an entire system with innumerable working parts, those who live in the United States will be under considerable pressure to stay healthy. The Ventanas Mexico Facebook page is where you will find the latest news on the United States healthcare crisis. If you who are an Americans between 55 and 65 years old, you in particular are likely wondering if your insurance will cover the rising out-of-pocket costs of a major illness or whether you will end up as a statistic: 62% of bankruptcies are caused by medical bills, including many people who had insurance when they got ill or were injured. So far providers have answered the public’s emergency call with higher deductibles, premiums, and out-of-pocket costs, a shift likely to continue. If you are a Baby Boomer, this will not get fixed in your lifetime. It's been widely reported that a couple 65 and older will need at least $367,000 to pay for medical costs beyond what is covered my Medicare. Of course it’s not all about the money, it’s about a quality of care, right? The U.S. ranks 37th in the world in quality of car (last among richer countries). For the third consecutive year, mortality rates in the United are declining. If you are trying to compare between the United and Mexico for quality, you might do better if you looked at the performance in the individual categories that make up the ranking for factors that concern you most, for example, the U.S. ranks 3rd in cancer outcomes but last among developed nations in amputations from diabetes. The costs of routine tests, many medicines, doctors’ visits and healthcare, in general, is a fraction of the cost in Mexico compared to the U.S. Surveys show most expats are very pleased with the care they receive in Mexico. Dental work in particular is a service you should consider doing in Mexico, even if it's through dental tourism. That being said, technology is expensive. If an illness or injury requires sophisticated technology, for the best care you will want to go to a major hub city such as Monterrey, Mexico City, León and Guadalajara, where many excellent specialists are U.S.- trained and facilities are world-class. How you choose coverage will depend on what your health needs are and how many months a year you plan to live in Mexico. People who live in Mexico full-time mainly get government healthcare insurance through IMSS for $400 - $600 a year or private insurance. A person on Medicare who lives in Mexico might purchase the IMSS insurance for emergencies and plan to travel back to the U.S. for any major illness since Medicare does not cover you in Mexico. You will have more difficulty getting private Mexican health insurance after age 62 in Mexico. If you have a pre-existing condition you probably will need to be on a policy for two or more years to be covered, much like U.S. coverage was for many years. To be approved for a private insurance healthcare policy in Mexico, you have to provide proof of residency by providing something like an electric bill in your name. Once covered, the monthly premium could be far less in Mexico, depending on whether or not you receive an Obamacare subsidy now. Currently, the Affordable Care Act requires Americans to have health insurance or pay a penalty. If you spend less than 30 days a year in the U.S., you can file for a waiver, Form 8965. Patching together healthcare coverage is probably the thorniest issue you’ll face if considering life in Mexico, especially if you are a part-time expat. Even as a full-time resident, you’ll have weighty choices with many factors at play. One example is the purchase of evacuation and repatriation insurance in addition to having IMSS insurance. Others feel more comfortable with full coverage by a private Mexican carrier in they are full time residents. Your particular health needs, and your budget, will determine your choices. In 2016, President Obama decided to take what had been a local issue, housing, to the national stage. He believed the shortage of affordable housing was causing rents and home prices to skyrocket and was increasing economic inequality. A recent study shows over a third of the American population shells out a third of their income on housing. The worst off are those who still have a mortgage on their homes and those who rent. Of those groups, 30% spend over 50% of their income on housing costs. Rents are rising in the United States in 2018 at the highest rate in over two years at almost 2.8 %. A Baby Boomer housing shortage is predicted because the demand for their larger homes in suburban areas has declined. Many find themselves unable to sell their homes at a reasonable price, locking them into larger houses with associated higher costs of maintenance. As people grow older, their homes may need renovations to accommodate decreases in mobility. These renovations may be difficult to afford. Housing probably will be the fixed cost line item where you make your biggest budgetary gains by living in Mexico. Other than Mexico City and a few of the most expensive cities in Mexico, like Cabo San Lucas or the most expensive centro zones of Oaxaca, San Miguel de Allende or Puebla for example, in most places in Mexico you can find a very nice, often furnished place to rent for $600-$800. The types of living styles are vast. Cities popular with expats have exceptional weather, so house designs emphasize patios and rooftop spaces. 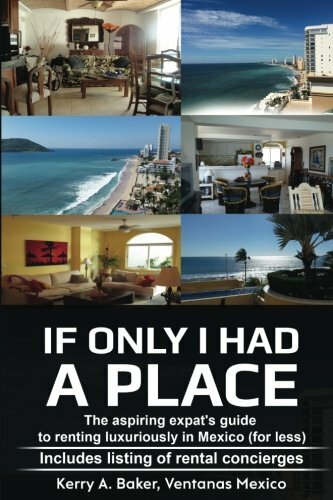 Several hundred thousand dollars will generally be enough to purchase a very pleasant home in Mexico, although you will probably need to pay for it in cash as mortgages are rarer in Mexico. Upscale mobile homes, resort condos, apartments, and houses in gated communities offer a wide variety of lifestyles. Spanish skills expand your choices. Renting is different in Mexico, regardless of what some real estate sites would have you believe. The general consensus, as you will see on Mexican expat forums on housing is to rent first for at least a year or two to make sure you love the area year-round and develop a grasp of the market. Prices that seem so low when you arrive in comparison to back home may actually be high for the market. It takes time to learn the the value of things in Mexico. Many expats over-invest, not anticipating how houses generally take longer to sell in Mexico should an unexpected event force them to move. Legal protections in the rental and buying process in Mexico are fewer. In all things negotiable, and that includes buying or renting a home, the reputation and character of the realtor or landlord are key. It takes time to develop the relationships necessary to confirm the real, the Mexican, value of property. The rise in costs versus the rise in wages is the reason why it’s so hard to understand how you could be making more money than ever, but unable to afford certain luxuries you could afford 30 years ago. This slide has been going on for 30 years. The average cost of a massage in the U.S is $60 an hour, higher in larger cities. The average cost of a personal trainer in the U.S. currently is $45, perhaps for a half hour session. You are more likely to pay $70 - $80 for a one-hour training session. Haircuts and styling are all over the board, ranging from $35 to $200, depending on where you live. One of the lovelier aspects of living in Mexico is that some personal services that you may have eliminated can return once again to your life. Many personal services cost anywhere from a third to half of what the service costs in the U.S.
A personal trainer may cost 400 pesos, a massage 350 pesos. These reduced costs extend to dog sitting, botox and spa treatments, housekeeping, even washing your car. A woman's haircut costs about $30. It’s not unusual for the masseuse or hair-colorist to come to your home in Mexico. Pedicures and manicures should be about 30% less too. Admittedly, the services may not have all the bells and whistles you enjoy in the U.S. Perhaps the spa setting is not as luxurious, or it might be rather bohemian, but to have financial access to these luxuries more often will make you feel like you’ve returned to the comfortable, occasionally pampered, middle-class life you may have misplaced somewhere on the road to retirement. The increasing cost of taking care of a pet has been described as a vanguard to the continual rise in the price of healthcare for people. Costs have risen wildly in the last few years for pet care with the cost of routine and surgical vet visits rising 47 percent for dogs and 73 percent for cats over the past decade. Just like with people, vet costs vary by region in the United States. The overall cost of owning a dog is about $750 a year, a cat $355. This is a bargain for all the pleasure and companionship they provide as long as you can avoid the small fortune that an emergency or certain conditions can cost. An annual check-up visit may only cost $45-55. A new pet owners don’t anticipate situations such as a $2,000 bill for treating a cat’s hyperthyroidism with radioactive iodine or cataract surgery for $3,500. Care for a dog or cat in Mexico will be a fraction of what it costs in the U.S., usually ranging from 30% to 50% less, sometimes even 75% less for something like a broken bone. Small services like removing stitches, will generally be free. The dog cataract surgery I mentioned above costs $2,000 in Mexico City. Going out for an occasional elegant dinner, movie or a cultural event like a ballet or opera lubricates life by making some evenings special. A dinner in the United States, not including drinks, at a moderately nice restaurant (for example, the Italian restaurant Maggianos), averages $27 to $35 in more expensive cities like NYC and San Francisco not including libation. From there of course the skyis the limit. Movies in the United States cost between $13-15 in the U.S. (Although the average is reported at $8, I’ve can’t think of the last time I paid less than $10, can you?) Popcorn and drinks start at about $5 each. A movie with popcorn and a drink can run $30. Concert ticket prices in the U.S. average $50. A ticket for Taylor Swift will cost $194. Prices for major acts has risen far faster than inflation. Many blame ticket distribution and booking fees, rather than the artists for the high ticket prices. The medium range for opera tickets run from $140 - $250 if you’re in U.S. cities large enough to support an opera. Like baseball? Infield tickets in the U.S. cost about $25...but who can watch the game without a hot dog and a beer ($20). If you make true comparisons in terms of elegance and dining experience, you will pay at least 30% less, probably 50% less if the restaurant serves largely Mexican clientele. Dining at the most expensive restaurant in my hometown in Mexico has never cost more than 550 pesos ($27), including three courses and (at least one) signature cocktail, more often I pay between $15-20 dollars. In cities with very large expat populations, you will find dining costs to be closer to U.S. prices when the restaurant can attract a big percentage of expat and tourist guests. You should find even those dinners to be at least 20% less. If you like to eat out a lot, the savings add up. One of the best values in Mexico is movies. Movie tickets for first-run movies cost about 60 pesos ($4). Many theaters have luxurious recliner-type seating. Popcorn or sodas run about 25 pesos ($1.25) You may want to check in advance on whether American movies are dubbed (dob) or subtitled (sub). A majority are in English, subtitled in Spanish. Live theater varies widely in price. Good seats in a major production in Mexico range from 500 - 800 pesos ($25-$40). Tickets at smaller theaters like those in Mazatlán or Puerto Vallarta run 300-600 pesos ($15-$30) for operas, ballets, and other live performances. Good seats for the opera in Mexico City or Guadalajara might run about $40 apiece. A good seat for a concert featuring a widely popular band will cost $50 to $100 (dollars) a ticket. Top American bands do tour Guadalajara, Monterrey and Mexico City. An excellent seat for famous electronic 80's band Depeche Mode's most recent tour in Mexico City costs 1,045 pesos ($52). A comparable seat for the band in Denver’s Pepsi Center would cost $143. As far as sports, baseball games are great fun in Mexico, where the sport is very popular. Baseball games featuring major teams cost 100-120 pesos ($5 - $6). The crowd alone makes it worth the trip, even if you aren’t a big baseball fan. Clothing - Clothing runs about the same, or somewhat higher in Mexico if you're going for quality. Electronics - This is what sends expats (mules) home with empty suitcases. You need to purchase your electronics in the States not only because they are so much cheaper but also you don’t have to deal with Spanish keyboards and settings. You should bring your old laptop, cell phone or reader as a back-up. Six months is a long time to go without them if you’re planning extended stays. Electronics take a beating in coastal towns due to the salt and humidity in the air. Expect to replace them more frequently. If something goes out on you, getting repairs requires an established network of computer experts that takes time to build because each one tends to build a speciality (software, internet, hardware). Gasoline - High gas prices are a given in Mexico. Many expats find it cheaper and more comfortable to take one of the luxury buses to visit from city to city. Uber is available in 37 cities. Fares are less. Cars are tiny. Gym Memberships - An relatively upscale gym is as or more expensive in Mexico, and harder to find. Muscle head gyms are fairly common though (Think Arnold and Venice Beach...or prisons). Anything imported - Your favorite exported olives or your preferred bourbon will cost more in Mexico. Electricity - in coastal areas is charged based on consumption, and subsidized during certain months. It's critical you understand that billing or you could end up with an electric bill that rivals your rent. Once you have entered this no-fly zone of consumption, you may be locked into paying at a higher rate for a year. Be very vigilant. Use strict conservation measures. Most expats in Mexico report that another reason that they spend less is that they are not bombarded by marketing efforts in Mexico, nor is the Mexican culture focused on consumerism. You tend to want less. Amusingly, once people live in Mexico awhile, they often develop a tendency to consider an item "so expensive" when it costs the same in Mexico as it does in the U.S. Expats get so used to paying less for almost everything that on those rare occasions when the price is the same for an item or service as in the United States, it seems inflated. 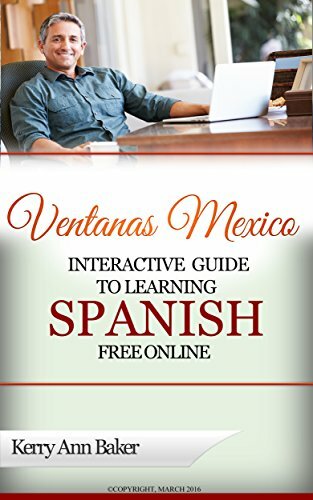 The more Spanish you know, the better position you will be in to take advantage of all the opportunities you have to live well for less in Mexico.